WOW! Look at this lovely brown, 15.0 hands, and ¾ Funquest mare. She has been trained as a Dressage horse and definitely has the extension that dressage and sport horse enthusiasts strive for. Her pedigree is stacked with these famous Funquest bred horses: Monarch, Talstar, Falcon, The Brown Flacon, Flyhawks Black Star, and Flyhawk (9x). 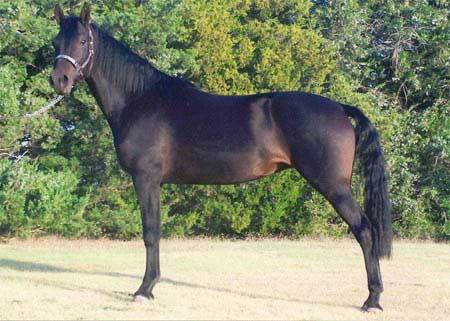 Her sire is Funquest Erick, is also registered in the American Warn Blood Association. He was the first horse to win the Morgan Sport Horse Award. Erick stands 16.0 hands and can jump a 6 ft. fence under saddle. We are anxiously waiting Fancy's foals and she is a tremendous addition to our Funquest herd. Thanks Pearl……….